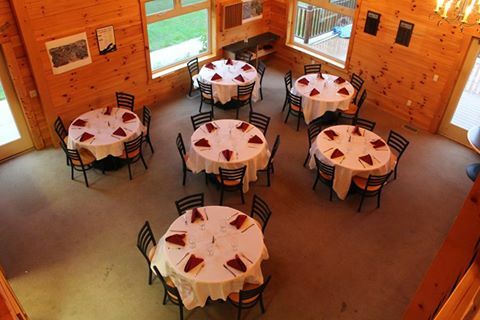 Deer Ridge Banquet and Conference Center is the ultimate place for you on your special day. 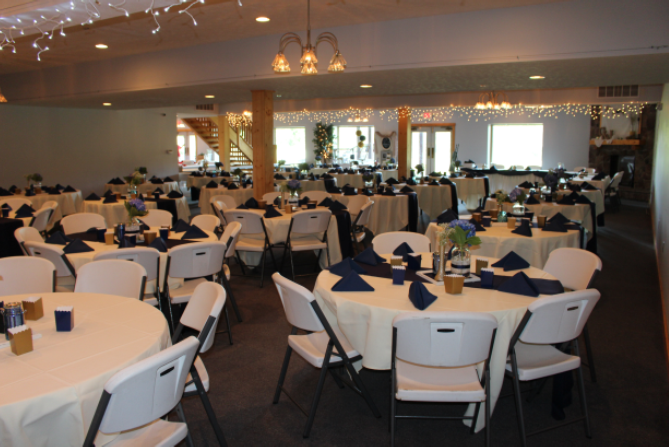 We offer flexible pricing options for ceremonies, rehearsals, dinners and receptions. Attention to detail is the key to any successful function and at Deer Ridge we strive to be the best! 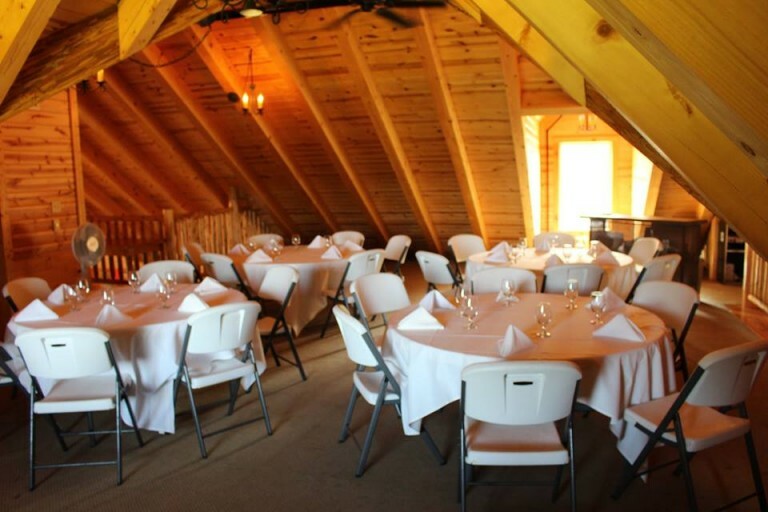 The banquet facility will accommodate groups up to 240 people and up to 40 people in our loft or back room. All of our rooms have beautiful views of the golf course and surrounding valley, making it the perfect setting for your wedding ceremony and reception. 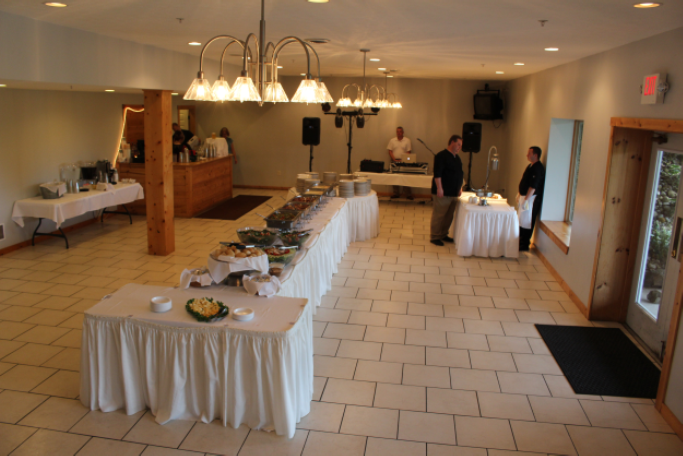 Full food and beverage service is available from appetizers to an elegant sit down or buffet dinner. We can also recommend vendors for all your needs from cakes to flowers to DJ’s and bands. Deer Ridge wants to make planning for your special day as easy and stress free as possible. Banquet Hall Set Up. Will Seat up to 240 guests. Catering Banquet Set up. Which can be converted into a dance floor. Smaller Back Room for more intimate dinners and events. Will seat up to 40 guests. Loft room for smaller events. Will seat up to 35 guests.